The first area that anyone sees when they enter your home is the foyer and this area needs to set the theme for what you are trying to say about your surroundings. 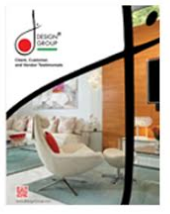 While many people choose to leave this area in a minimalistic state, the trend in residential interior design is to show the personality of the homeowner upon walking into the door. You want to make the right first impression to your guests so this area really needs to be amped up more. The following are some of the ways you can create a luxury space that will grab your guest’s attention immediately. 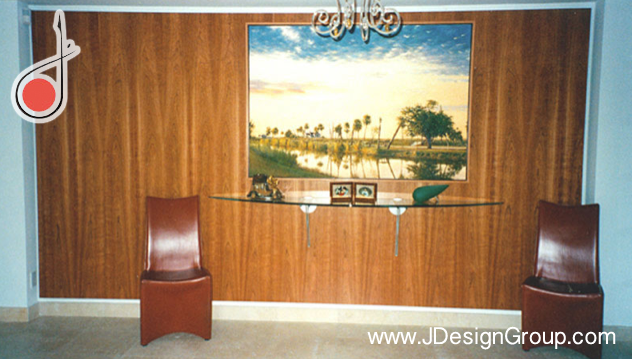 One of the hottest trends is a wall unit design in the foyer area where trophies and other mementos can be on display. Gone are the days of trophy rooms, even in the most luxurious homes as this is an outdated trend. If you do not have any trophies or prefer not to display them, then you can use the wall unit for your favorite sculptures, photographs or even your rare books that are not kept in the library. The other pieces in the foyer should tie in with the theme of the wall unit in order to bring it all together. If you would prefer to have a different look to your foyer rather than having a wall unit, consider putting some furniture in the area for your guests use. One or two high backed chairs, depending on the space, with a small table can be a great place for your guests to sit while waiting for you to greet them. You should also add some throw rugs that match the color palette of the furniture to break up the blandness of the floor. This creates something interesting to look at and can add some flair or color to a typically neutral area. One of the most important aspects of home interior design is the accessories that you choose for any room including your foyer. No matter if you want furniture, a wall unit or you want choose the more minimalistic look, you should have some accessories to make the area more appealing. Make them consistent with the overall theme of the area. If you have a high ceiling, add a nice chandelier that hangs low to offer ambient light. Add a table lamp for entertaining to offer softer lighting along with some tall plants to give the area a more comfortable feel. Your interior design firm can offer many different choices when it comes to the accessories you should have in your foyer. 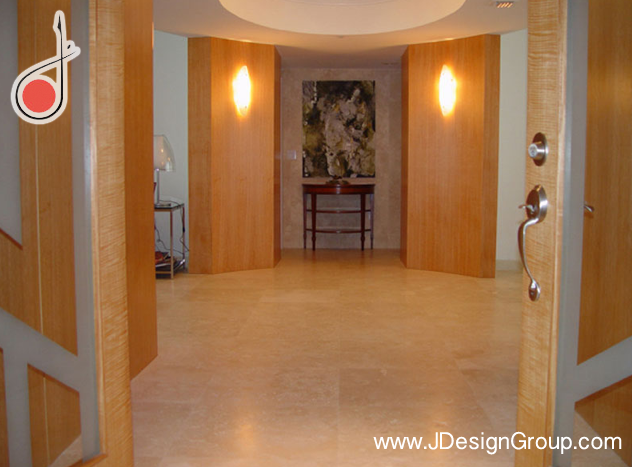 Many people forget to add design elements to their foyer as it is just the receiving area of the home. Sadly, they forget that this is the one room that is seen first and sets the impression that guests have over the rest of the interior. Make your foyer as much of a showplace as the rest of your house by adding shelving, furniture and accessories to make the area really pop.